Andrew Robertson has tipped Naby Keita to continue the trend of Jurgen Klopp signings coming good after a difficult start to life on Merseyside. The Guinean responded to a tough few weeks by playing a starring role as the Reds reclaimed top spot in the Premier League with a 3-0 win over Bournemouth. Featuring alongside Fabinho and Georginio Wijnaldum in a midfield three, Keita was granted a greater licence to break forward and showcase his attacking value. He did exactly that early in the second half when his stunning pass fed the run of Roberto Firmino, who back-heeled into the path of eventual scorer Mohamed Salah in what was an excellent team goal. “He’s young and he’s had to take time. But if you look at all of us, Fabinho had to take time, me, Chambo. The win marked Keita’s fourth successive league start, with Jurgen Klopp having shown enormous faith in the former RB Leipzig man. For him to find his top form at this point in the campaign would be a monumental boost to the Reds’ title chances, especially with Champions League football on the horizon. 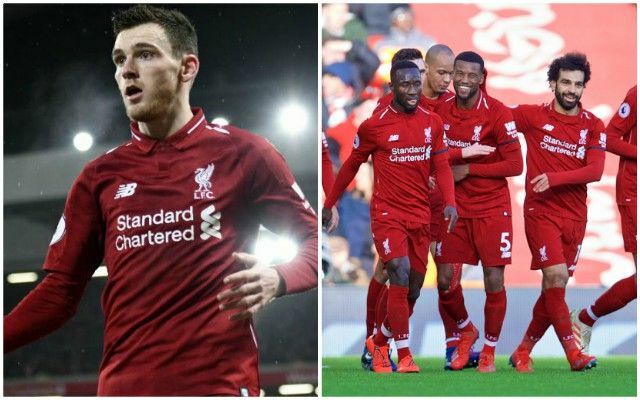 As with the 4-0 win away to Bournemouth back in December, the 24-year-old looked much more comfortable playing alongside two no.6s in Wijnaldum and Fabinho. Not only does this setup give him the freedom to push into the final third, but it also leaves him unrestricted in terms of leaving his position to hunt the ball. In fact, the system saw Liverpool’s overall counter-press look stronger and more effective than in recent weeks.